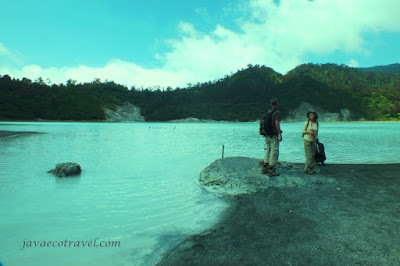 Telaga Bodas is an active volcanic crater located on the south part of small city Garut. The location is on the mountain area, around 1500 meters above the sea level. "Telaga" means Lake and "Bodas" means white, it is a real white lake. There are many attractive volcanic activites such as boiling mud pool, active sulfur cone and pipe, hot sulfuric spring, etc. Since few years ago, after two people were killed by the hot mud pool nearby the active fumarol, the visitors now are not allowed to come close to the active crater areas. But, this place still offers its photogenic landscape. 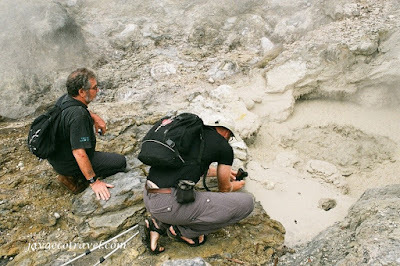 The tour to this beautiful White Crater can be combined with the Papandayan Volcano and Galunggung Volcano. 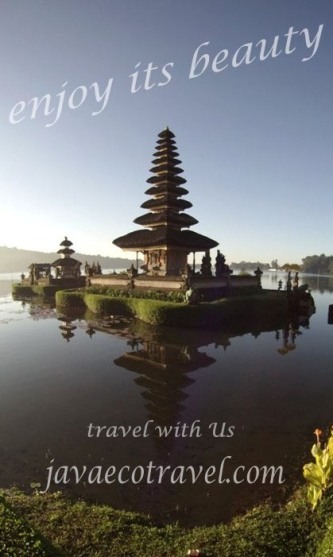 Please contact us to get the best tour itinerary.